I know this has been discussed in detail before, but I'm new enough to need some hand holding. Prompted by having to abandon an older number 2 c4 in Joshua Tree last week (on Fote Hog...go and get it!) due to a broken trigger wire as well as a broken trigger wire on an older number 3 c4, I want to give my older cams some tender loving care. Can anyone give directions a competent newbie can follow (including tools needed and some step by step pics if possible) or is anyone in the Bay Area willing to help out if I provide beer and grateful thanks? In addition, the following (old metolius 0 and 1 and and other .75 c4) all have highly warped (stretched?) wires which I'm afraid will break at the swages. The c4s look pretty straight forward (new wire, new swage? ), but the metolious look soldered in. 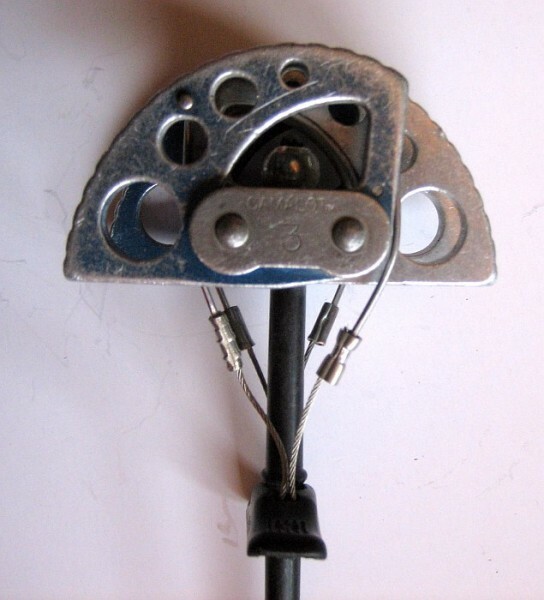 Also, the cam heads on the metolius are completely smooth - should they just be junked or are they still fine for use? Finally, any recommendations for sling replacements? To assuage your fears and preempt the usual "you're gonna die", these are all from the spares rack...but it would be nice to be able to include them with confidence when I need more of a given size. That particular kit works for only sizes 1 - 4, but other size repair kits are available as well. Each kit comes with two replacement wires, and detailed instructions. I just replaced one of the wires on a .3 C4 last week - it is very simple, and takes only a few minutes. 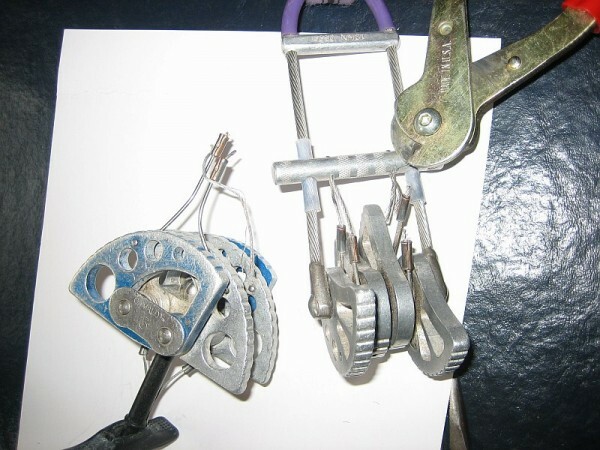 Any climbing shop will carry this repair kit. Dude, Those TCU's are over 20 years old. Thank you ClimbingOn...I knew they existed but couldn't find them actually available. Anyone have a link for the trigger replacement kit for old camalots under 1? Larry: they've held up well so far. If the consensus is that I should junk them, then I will, but I really hate to throw out perfectly good gear just because it's old (otherwise they'd have to throw me out, too!). That 3 Camelot still looks good but those other ones look pretty beat. The Camelots are easy to fix with a swagger kit but the TCU's are a little trickier to recable. Other option is to get the parts yourself rather than buying a kit. Small swage fittings can be had cheaply at decent fishing/tackle shops that carry saltw#ter gear (you're looking for something along the lines of this: http://diamondfishing.com/index.php?option=com_content&view=article&id=59&Itemid=68); and a couple feet of 1/16" diameter aircraft cable from McMaster Carr (http://www.mcmaster.com/#3458t75/=bjcq95);. Might cost more than a kit or two, but you'll have enough for a lifetime of cam repairs for you and all of your friends. You may be able to send them to the manufacturers, get them checked, lubricated, fixed up, and even reslung. Worth checking. Looks like most of them need it. You can just send the blue camalot to donini, though. Don't send stuff like this off to someone else. Don't be a lazy, do it yourself and learn something practical. Don't just become a specialized person in this world and know how to do only one thing but have a "book knowledge" of everything but can't do sh'it. del cross I'll take em if they aren't thrashed. Send you cash for shipping.....PM me. 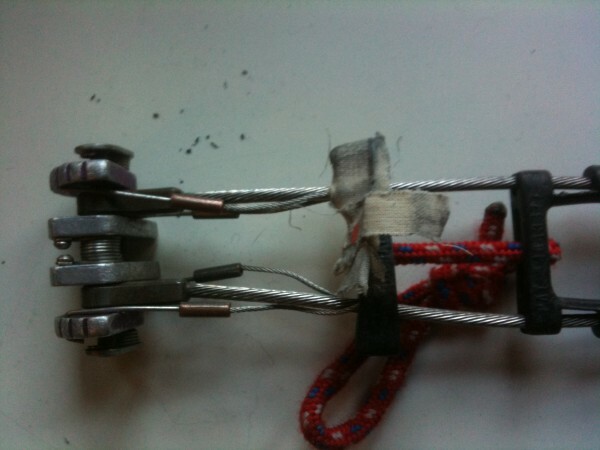 If you're replacing cables, think about replacing the webbing too. I think the kits come with instructions and a crimping tool. My vote is fix the 3, consider the little guys after you do an easy one. Junk the .75. C4's are sweet. A few years back I bought one of their generic repair kits. 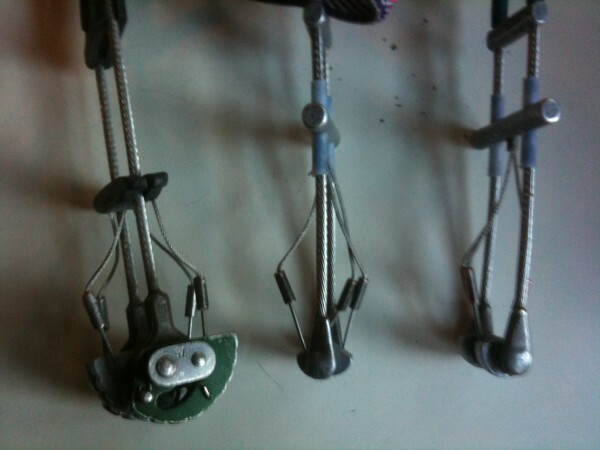 It comes with a few different sizes of wire, rigid wire, and various sized swages. 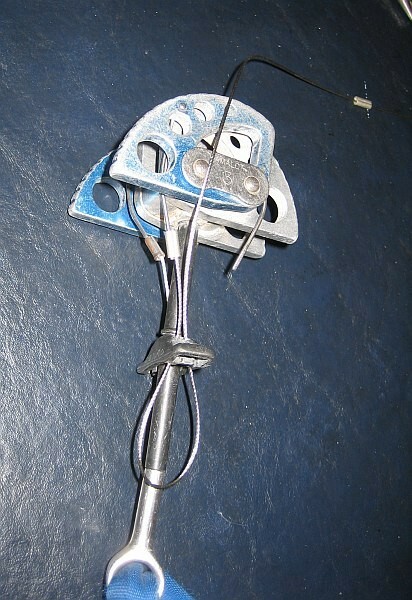 Also a swaging tool and instructions specific to various kinds of climbing cams. I've since repaired many cams (my own and others) and still have plenty of supplies from the kit to do many more. It's the best deal I could find and I have no regrets whatsoever about purchasing it. Those things have decades of life left in them. Nothing wrong with those smooth lobed TCUs, the old ones came that way. The "teeth" are somewhat cosmetic and don't really contribute much to the holding power. Good suggestions on fixing the triggers yourself, it's not rocket science, and if you do screw it up, the cam still isn't gonna fail in a fall and kill you. 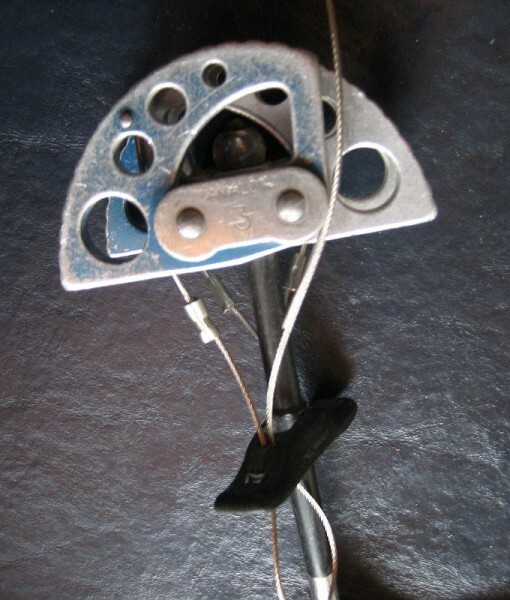 If they need new slings though (which they might), both BD and Metolius are good about reslinging them fairly reasonably and I think they will repair the trigger wires too (might cost extra). 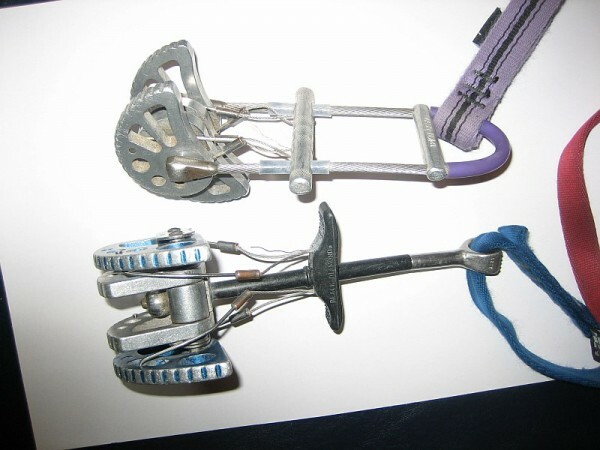 Metolius especially was very cheap ($3) and did a great job of polishing up (literally) some old TCUs and making them work like new. I have the swaging tools, cable and lots of swages; can lend you this stuff. I can show you how to do one, then you borrow the stuff and do the rest. 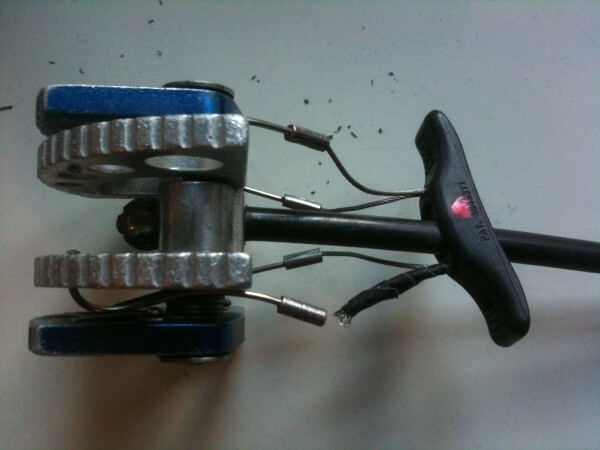 1. cut off old cables (easiest with cable cutter). Then remove the old cable from trigger bar (needle nose pliers may be useful). 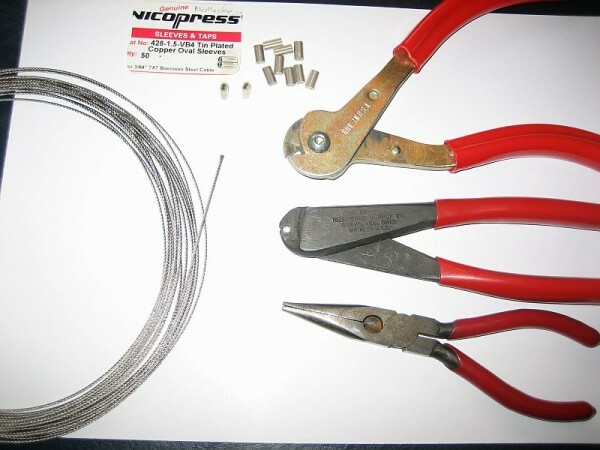 Prepare to remove old copper sleeve/swage from steel cam wire that connects to the individual cam. 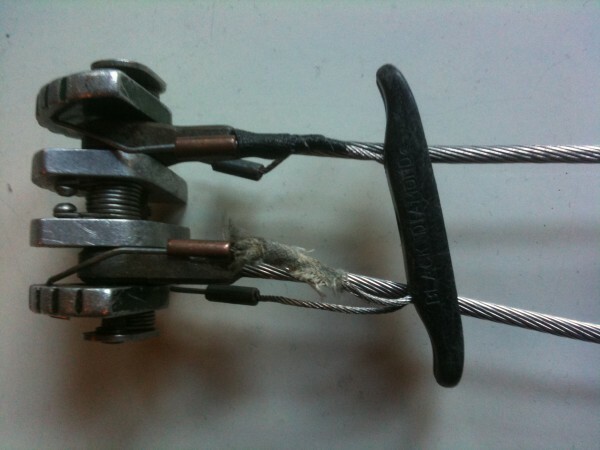 It's important to retain the old cam wire instead of snipping it; it's still good. 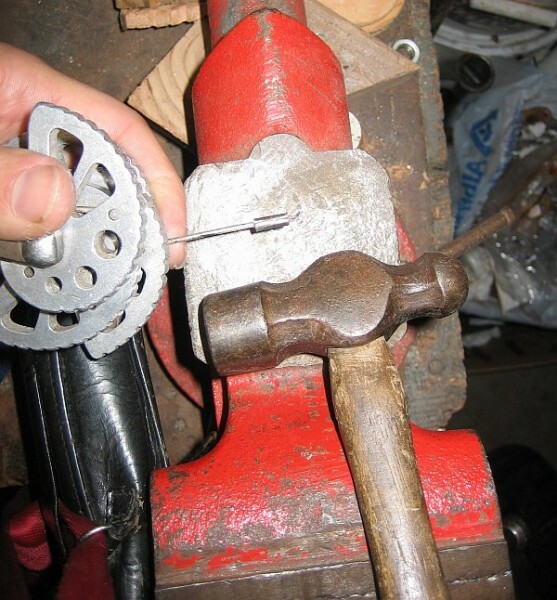 beat on the old copper swage with a hammer until it flattens, then twist off. The steel wire will keep its shape. Straighten steel cam wires if needed. 3. Thread the replacement cable through the trigger bar, through a new sleeve on the old steel cam wire. 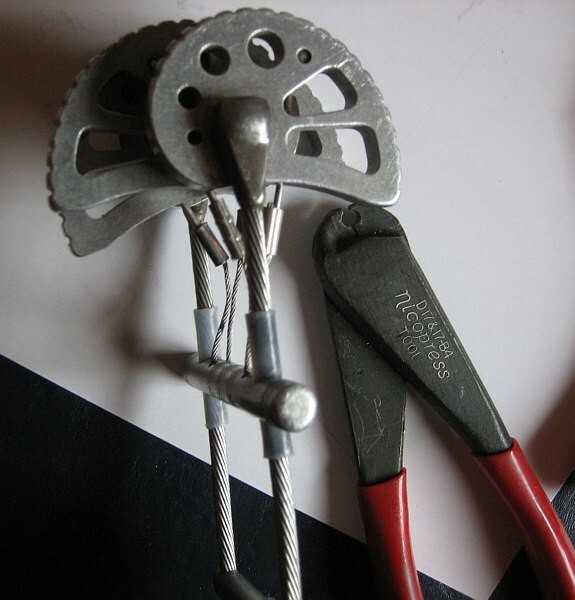 The cable cutter is helpful for making a clean cut on the cable, so it will fit through some trigger bars. of both ends, and crimp the center. 5. 2 more crimps finish the first sleeve - it extends to cover those ends that "just" peeked out. 6. 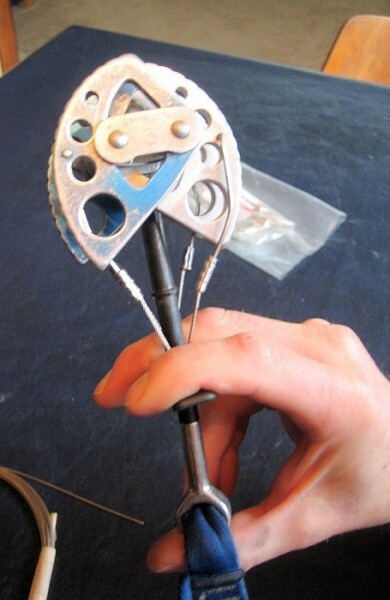 Pull the cable through to the right length, line up the second sleeve and cut the cable (hardest step). 7. Line up the second sleeve and crimp it in the center. Check the cable length again (trigger bar should be fairly level). If trigger bar is too crooked, snip cables and start over. 8. 2 more crimps on the second sleeve finish the job. How doable are the slings (I'm sure they should be replaced) to do myself or should I send them off and have them done by the respective manufacturers? Also, any thoughts on repairing the broken .5 trigger (plastic pull)? but it didn't work well- those things are pretty much junk compared to all the rest that's available. Liquid electrical tape is pretty good for touching up frayed, but not broken, trigger wires. Slings can be redone with a water knot, or have them done professionally (Fish, Yates, BD, etc). I agree with Moof - replace slings with tied ones, if needed. You can set the knot by clipping biners to both ends of the sling and bouncing on it. You can straighten the cables on the TCUs with your fingers. 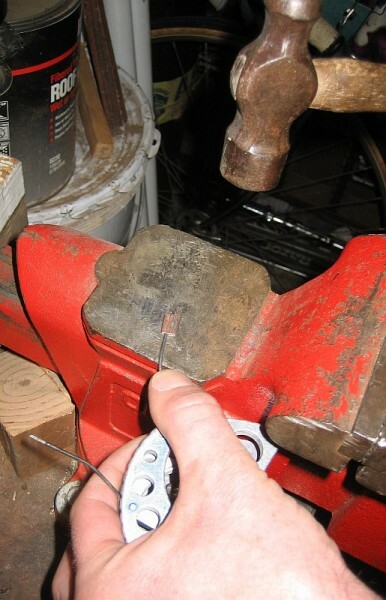 Straighten the steel cam wires with your fingers or a couple of small crescent wrenches or channel pliers. This is pretty quick and easy. Broken plastic trigger bar on old U-stem Camalot Jr.? Not sure; I don't have one of these to look at. Maybe fabricate one from plastic pipe as Jay did, if you have the tools and inclination.